The trick to achieving Gibson’s twists? “Make sure the braid isn’t too perfect and that it’s roughed up a bit,” he says. 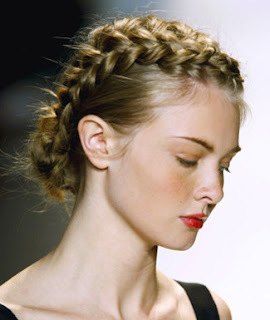 Before braiding, Gibson used his Tame It Shine Lotion to add texture. Next, he made a deep side part and braided a cornrow going from front to back. Placing a braided chignon at the nape of the neck, Gibson finished the look with his Beautiful Hold Hairspray.